Need help choosing the best product for your roofing application? A convenient and informative guide to Tarco's comprehensive selection of quality roofing products. Discover what distributors, wholesalers and retailers carry Tarco products. Read our online series of roofer's reports, describing the activities of a professional roofing contractor with regard to one or more of Tarco’s products. Your resource for all the latest news about Tarco and our innovative products. Tarco is one of the largest independently owned manufacturers of residential roofing products and commercial roofing products in North America. 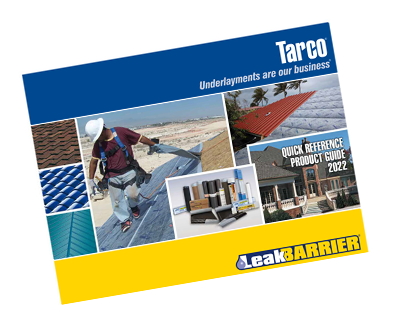 A major producer of underlayments since 1978, Tarco offers traditional roll roofing as well as premium LeakBarrier® underlayments and other roofing materials. You can depend on Tarco for superior value, exceptional customer service and convenient on-time delivery. 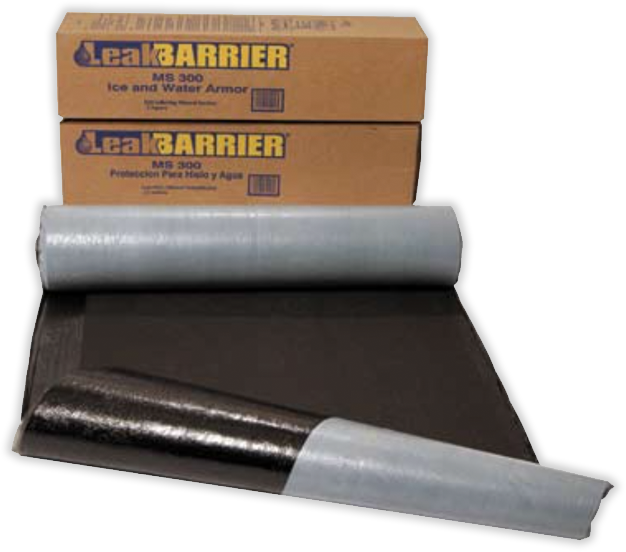 Tarco offers traditional roll roofing as well as premium LeakBarrier® underlayments and other roofing materials such as Ice & Water Armor, Asphalt Saturated Organic Felts, EasyStick Plus self-adhering cap sheet, EasyTorch APP membranes and ValleyFlash. Whether your primary roof will be shingle, tile, metal or membrane, Tarco makes a product that has been specially engineered and optimized for easy installation and superior performance. 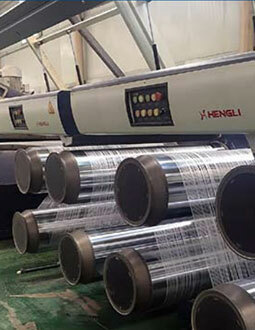 Underlayment product selection is influenced by many factors. Primary roof covering, substrate type, roof design criteria, building codes, material cost, labor cost savings, life cycle expectations, walkability, exposure rating, warranties, climate and customer preference, to name a few, can all factor into the choice of underlayment. To place these various factors into perspective, a good place to begin is a glance backwards at the history of traditional asphalt-saturated organic felt. That will help us to appreciate from a marketing perspective the entries of alternatives into the residential roofing industry. 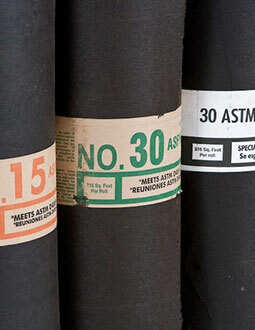 The new entries include premium self-adhering and synthetic underlayment products. The successful introduction of these new product categories into the residential roofing market is a remarkable story. When it comes to selecting a roofing underlayment, homeowners are mainly concerned with the tradeoffs between performance and cost. An underlayment is not going to be visible so aesthetics plays no role in selecting an underlayment. "We receive consistently positive feedback from our customers and repeat sales due to ease of installation, walk-ability and cooler surface temperature." “It's important to have good traction and we really like the walkablity on the PS200HT underlayment." "We found that EasyLay behaves and performs much better than traditional felt or synthetic underlayments." 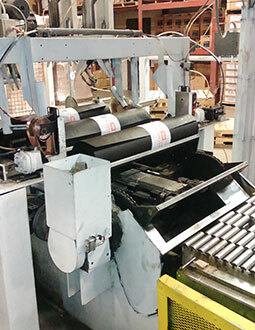 "On-time delivery and technical support were big factors in choosing Tarco products. The competitive pricing is great for [our] bottom line, and the roofers appreciate its light weight."